Christmas may be over, but you can still give the gift of family fun for less than forty pounds this year at Mid and East Antrim Borough Council’s leisure centres. Our ‘GetMEActive’ family memberships are only £39 a month and give two adults and under 18s from the same household access to our fantastic leisure facilities. This means the entire family can enjoy the fitness suite, classes, swimming pool and racket sports. Visitors of all ages and abilities can make use of state-of-the-art equipment and draw on the knowledge of our expert leisure centre staff for advice and guidance on getting more active in 2019. Mayor of Mid and East Antrim, Cllr Lindsay Millar said: “Right from a child’s first swim, Mid and East Antrim’s three Leisure Centres are here to offer people of all abilities lifelong support to achieve their health and wellness goals. Our dedicated team of experts strive to provide safe, friendly and inclusive environments, as well as offer a range of membership and pricing options to suit every budget. 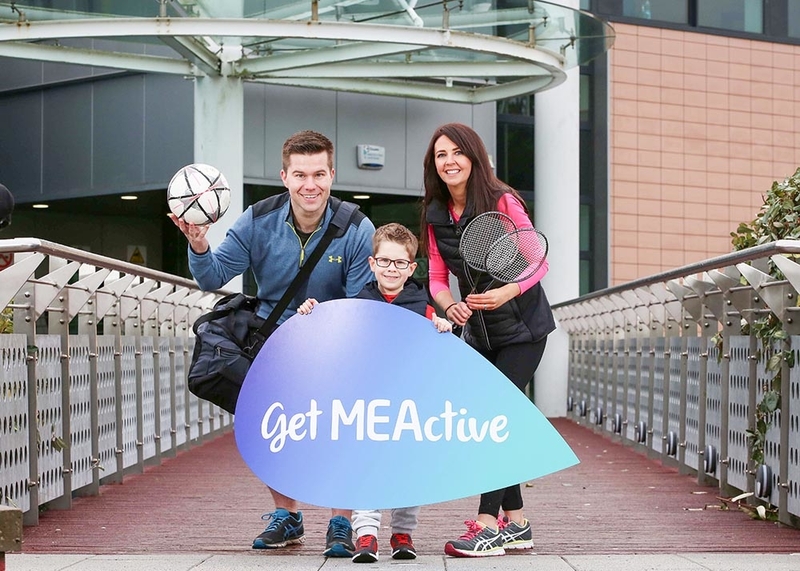 “Whether you’re looking to get into shape, keen to improve your fitness, or simply want to get out and try new activities, the Get MEActive Family Membership is a great option. “Use our top-class facilities and equipment, get involved in the wide range of expert-led classes for all ages and abilities, experience the fun and welcoming atmosphere in our centres and meet our dedicated team of staff, on hand to help you get the most out of your experience. We have everything you need to get more active together - right on your doorstep. For more details on the new membership scheme, times and classes please visit our Leisure Centres section.